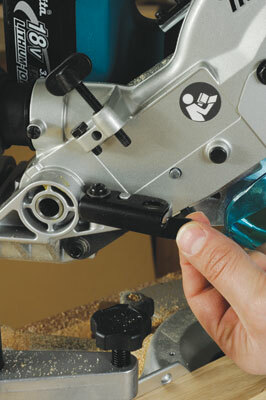 Back in F&C 163 I tested the Makita BSS611 cordless circular saw. Apart from a few niggles that were more to do with the concept rather than its execution I was quite happy with the way it performed. It's not a huge leap forward to have come up with this variant, but I believe it's worthy of consideration nonetheless. 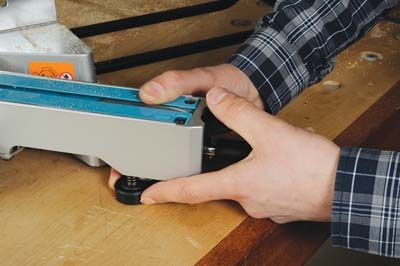 My engineer's square showed that it was for 90° x 90° cuts. The presets on the rotating table at 0° and 15° were also spot on. 22.5°, 30° and 45° were all within 0.1° across a 200mm wide board of 12mm thick birch-faced ply. 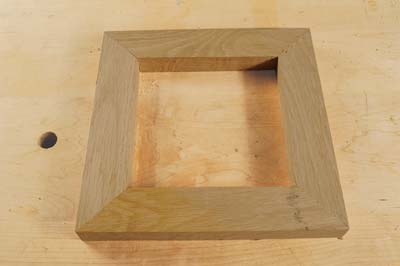 The acid test however was if a series of 45° cuts would produce a square frame. Alternating the cuts from one side to the other and using a length of 25mm x 45mm oak I was able to get very close. Unfortunately by now I had lost track of the number of cuts the fresh battery had made. Impressed by its performance in other areas I had become somewhat distracted, so I loaded up a length of 22mm x 45mm white beech and set to reducing it at around 10mm increments until the battery ran out. 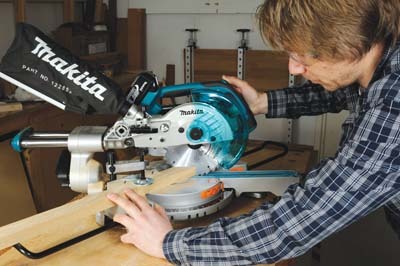 One hundred cuts later and the Makita was still going strong. I however was not. The BLS713 had proved its point. By now enough time had elapsed for a fully spent battery to be re-charged, eliminating any risk at this rate anyway of being bereft of power. It was in fact a little more than that but interestingly there was still life in the original battery after the previous one hundred cuts. 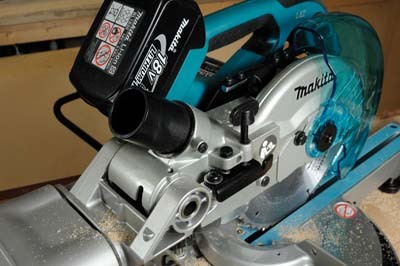 The new range of batteries from Makita, supplied with this machine, feature cell protection technology. Intended to prevent overloading and working outside the capabilities of the machine, this is designed to prolong the life of the cells as well as the machine.